Oct. 30, 2018, 4:26 p.m. In contemporary democracies, parliament is almost the jugular vein of democracy. The definition of the concept of democracy becomes meaningful only when the parliament, which is the representative body of the people, has got to work efficiently. Parliament members are generally elected directly by the people in all the nation states governed by democracy to be their voice and seek rights in the direction of the people's demands. In today's world order, the key to the self-administration of the people is that they have a parliament. That is exactly what the European Union has in this direction, the European Parliament, like local parliaments, is actively working to be the voice of European citizens and to express their rights and aspirations. The European Union has demonstrated at every opportunity that it has adopted democratic and rule of law principles as its most fundamental values and has continually increased the duties and authorities of the European Parliament. Today, the European Parliament has the equal right to speak with the Council in the European Union decision-making process. In other words, the legal arrangements that will bind the member countries are possible with the approval of the European Parliament and Council. In addition, the European Parliament has the right to inspect the Commission to protect the interests and rights of its citizens. 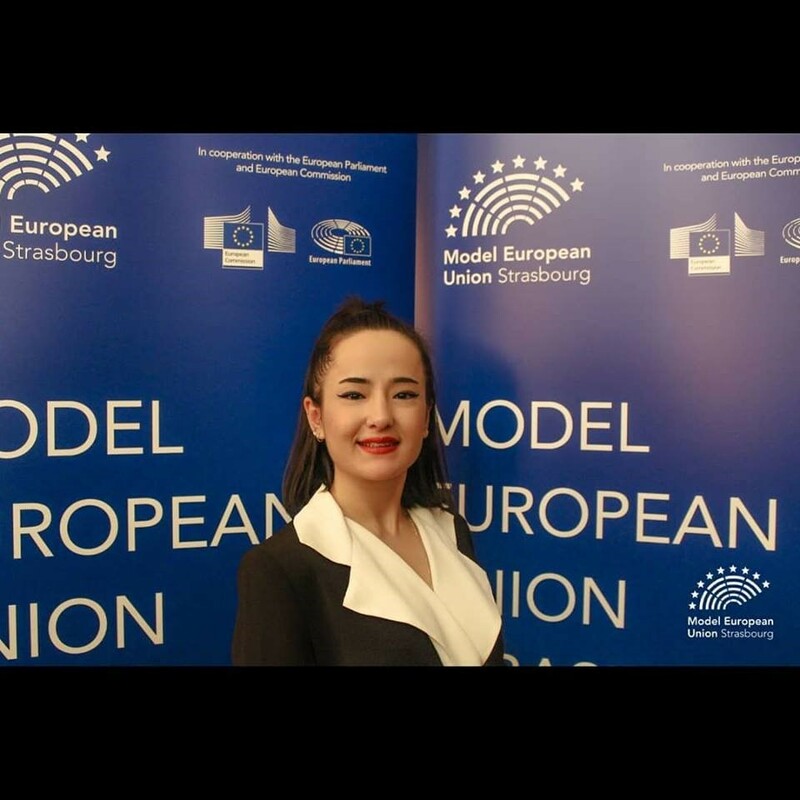 In this direction, we want to learn from the experience of a student who participated in the European Union's modeling program, the Model European Union, with a small interview and to convey these opinions to you. I am Hulya Ezgi Tolay. I recently graduated from İzmir University of Economics, Faculty of Business Administration, Department of Political Science and International Relations. What is the Model European Union project and how are you involved in this project? 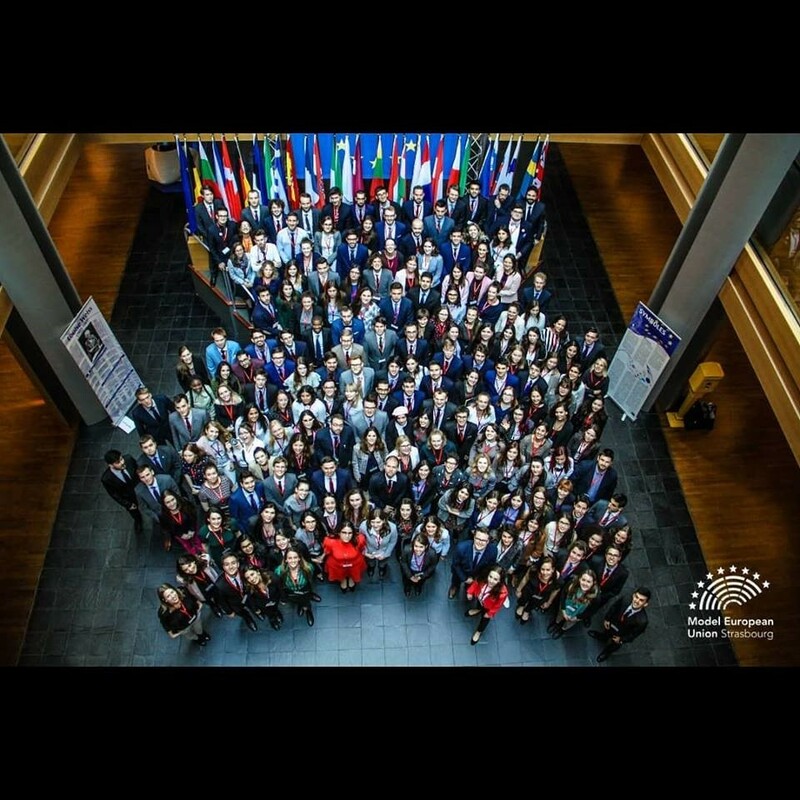 The MEU project is a program that offers us hands-on training (imitation) on how the European Union works for students, new graduates, and master-rated students under the simulation program. It is under the control of the European Union and an annual budget of 500,000 euros is allocated for these programs. The process of getting involved in this project is a bit difficult but funny. First, we fill out the application form (transcript, letter of intent, preliminary letter, etc.). Then, if appropriate, you are asked a few questions for writing articles. The part that forced me the most was the article writing section because the word limit was 500 and it was difficult for me to transfer all my knowledge to such a short article. If your article is found appropriate, you are entitled to participate in the training and processes begin. For MEU 2018, only 180 people from 500 applications won the right to participate in the training. The participation fee is also charged by you (150 Euro). This participation fee includes many services such as accommodation, city transportation, food, city sightseeing, etc.. There are also opportunities to receive scholarships. I joined a scholarship for instance. For the scholarship, there are conditions that they set. From the official website you can see what these conditions are. What was your position in this simulation? In this simulation, I was a member of the European Parliament who participated from Germany. I was a member of social democrats. How have you observed similarities and differences between the Turkish Parliament and the European Parliament? According to my observations, there are very similarities between the differences. As a result, the parliamentary system of operation is very similar in all countries governed by democracy. First of all, I must say that there is a multi-party system in the EU. Just like in Turkey and fragmentation in both between parties rather than the political system. Rightist, leftist, extreme rightist, extreme leftist, conservative. For example, one of the strongest parties in the European Union is a right-wing party like EPP / Central Right, and Christian Democrats, AKP, and it provides the majority. As a difference, we can say; Party representatives within the European Union can seriously criticize each other. These critics have never exceeded the frame of respect in my MEU program. But unfortunately, our differences of opinion in Turkey Parliament deputies can result in fights or insults. In the EU, we can interpret the fact that this is not the issue, as demolitions of people, even as their own experiences. Did you feel the reflections of democracy and the rule of law principles that your party has adopted? I certainly felt it. As I mentioned before, I can easily say that; democratic soul even in their daily lives. The legislative, executive and judicial bodies are sharply separated. I felt this clearly in this program. Observing the real democracy was invaluable. What are your observations about the approach of project staff (the host organization) to you? First of all, I would like to mention that all of them are voluntary employees. It took a lot of time and effort. It was necessary to be blind to see that volunteer employees did their work with earnest, respect and love. Until the end of the program, everything that had not been systematic was completely disciplined and perfect. What are the reasons for the European Parliamentarians to represent their political views rather than their national identity in parliament? How does this reflect on the decision-making mechanism? Parliamentarians of the European Union; the parliament represents the citizens of the union of the member states from which they belong, and is therefore determined by the political views of the parliamentarians that they tend not to be party countries. To set up a group in Parliament, you need to reach 25 people in at least 7 different member countries. The Union is thus trying to develop the concept of European Union citizenship and to close the democratic openness. It was aimed at defending the political views and interests of all European citizens, not the individual country interests of Parliament members. But, of course, there are occasional disruptions in operation. I would like to mention if you have experienced an example of this in our participating simulation program. A legislative amendment to the rights of LGBT was passed, but the left-wing Greens were already ideologically divergent. In the amendment of the law on this subject, some Greeners considered the interests of citizens of their own country, ignoring the concept of European Union Citizenship, and there was a serious division between them. As a result of this incident, a new pirate party was set up before the vote, and the Greens were divided. At this point, individualism was at the forefront when citizenship rights within the European Union need to be addressed according to EU principles. But I would like to underline that the basic concepts of democracy are not put at risk. Is it what you earn by working on the same idea with people with different national identities in a parliament? As I have mentioned several times above, it is not wrong to say that the EU is based on fundamental tolerance, respect, democracy. Sometimes I may say that the state which is the member of every European Union has succeeded in the unity of being united even if there are troubles. The EPP, which is rightly inclined to explain it by giving an example from the program I participated in, has fallen into disagreements in almost every amendment of the law. But with respect, mutual sacrifice, they managed to compromise without a problem. Despite the fact that they all represented different countries and had different views on the same law amendment, the common result was very comfortable, taking into account their interests. Do you want to add anything? MEU allows students of social sciences faculties like myself to practice and learns the shared knowledge in school. I recommend that everyone with this opportunity to participate. Besides this, the certificate is given at the end of the program. I do not think it is necessary to emphasize the importance of having such a certificate for the students of the Faculty of Social Sciences. Also; Since this experience has been gained by participating in this program, there is also the opportunity to volunteer as a member of the organization team in the following years. Besides being able to see the EU parliament as someone who has finished Political Science and International Relations as well as to speak his own words, being a part of that democracy spirit, being a witness to the practical concepts of the concepts taught to us for many years, made me very happy and at the same it was instructive.